In the face of an Ebola outbreak, the government should be deploying the military at all border entry points and in airports for the purpose of establishing quarantine zones for passengers suspected of exposure to the Ebola virus. All flights, to and from Africa, should be banned from entering U.S. airspace. Instead of protecting America, this administration is sending 3,000 soldiers, untrained in dealing with Ebola outbreaks, to Africa for reasons that nobody can seemingly identify? Why? We continue to leave our southern border completely open and Ebola, in the form of a bio-terror weapon can and will be brought into the United States. Again, I ask why? The CDC owns the patent on Ebola and every strain of the virus up to 70% of the variance from the original pathogen. Why is this not being reported in the mainstream media? Crucell tested an Ebola vaccine in 2006 on 32 humans. There is not one word of this mentioned by the six corporate conglomerates which own 95% of the media. Why? The National Institute of Health (NIH) owns the patent on the Crucell developed vaccine. Also, the Army is involved in the creation of the vaccine. Why won’t the mainstream media report what is so easily discoverable in the public domain? And you can bet, regardless of the efficacy, that vaccines will be mandatory in order to maximize profits in the midst of America’s decline. Not much about the handing of the Ebola virus makes any sense. However, once the spread of the virus begins, inside of the United States, a very predictable pattern will ensue. It will basically be the same pattern that sociologists have reported on in virtually every disaster scenario whether it be a pandemic or an EMP attack. The following paragraphs discuss some of the issues and patterns that will emerge when Ebola comes to America. What will happen when Ebola comes to America in a significant and undeniable manner? With regard to this administration, when, not if, Ebola comes to the U.S., you can count on this administration to not let a good crisis go to waste. And in this case, the early days of an Ebola outbreak will be used to detain as many political dissidents as possible under Executive Order 13295. Many dissidents will have upper respiratory illnesses, colds and asthma. None of these conditions has anything to do with Ebola, but that won’t be the point. The referenced executive order, entitled Revised List of Quarantinable Communicable Diseases, amends Executive Order 13295, passed by George W. Bush in April 2003, which allows for the “apprehension, detention, or conditional release of individuals to prevent the introduction, transmission, or spread of suspected communicable diseases,” will come into play in a significant manner. The EO has nothing to do with preventing the spread of Ebola and has everything to do with arresting dissidents who have colds, asthma or an upper respiratory infection. The purpose is to remove the command and control of any potential opposition to this administration’s handling of the coming crisis. The panic portion of this phase will begin as individuals stop showing up for work, personal vacations and business trips will be canceled. Sales of survival gear and most all, firearms and ammunition, will skyrocket until the government suspends these activities under a declared martial law. 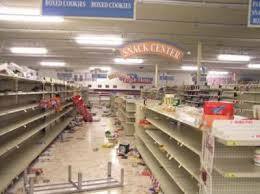 Grocery stores will be empty and canned food and bottled water will become worth its weight in gold. Very quickly, the “three thousand mile salad” will become a thing of the past because all “Just in Time” (JIT) delivery, the backbone of the consumer economy, will be gone due to imposed travel restrictions and a growing fear of Ebola in which many truck drivers will refuse to make deliveries to impacted areas. In areas where the virus is present, isolation of the victims will not be feasible. Instead we will see what are witnessing in Liberia, quarantines will confine the healthy with the sick. The healthy, fearing contamination, will try and fight their way out of containment zones in order to avoid being trapped an exposed, in close quarters, to the Ebola virus. America has 150 million gun owners armed with 300 million handguns. The United States will be the site of widespread violence as the newly declared martial law troops, under the auspices of the United Nations, will attempt to enforce containment zones. 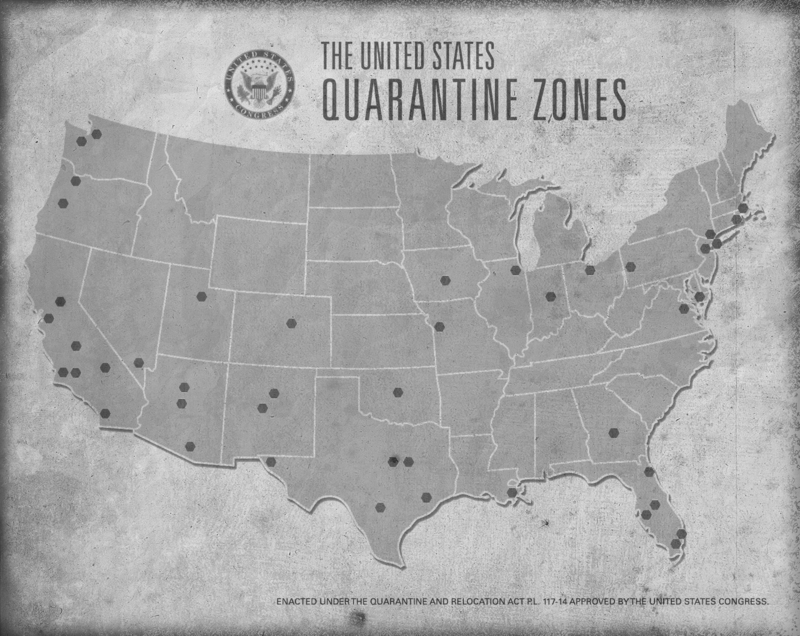 There will be no question that many Americans will attempt to fight their way out of the containment zone in order to escape certain exposure to virus. By this point in time, the infection will have become widespread with the CDC basically admitting that regional quarantines of cities and major metropolitan areas will become the primary method of containment. Everyone inside of the containment zones will potentially be a “dead man walking”. Drones will likely patrol the skies on the fringes of the containment areas and will destroy people attempting to escape. Commerce will come to a crashing halt and our financial institutions will go into free fall. People, in critical services will begin, by the third day, to fail to report to work. Vigilantism will become the rule of law. As was the case in the aftermath of Hurricane Katrina, the police, fire and medical personnel abandoned their posts and their duties on the third day. Armed groups of citizens will roam the quarantined areas in search of essential resources needed for survival. There will be nobody to call for help. Untreated Ebola victims will die agonizing deaths. Eventually, a quarantined area will lack the resources to even bury the dead. This will exacerbate the spread of the Ebola and the emergence of secondary diseases (e.g. Cholera) which will kill more than the Ebola virus. The violence and the victimization will be horrific. Society, within the quarantine zones will collapse, warlords will appear and open warfare will take place. The powers that be will not intervene so long as the fighting does not threaten to break the containment zones. There will, however, be organized attempts to break through containment to get to safety. 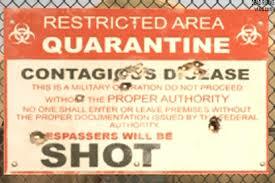 Military technology will be brought to bear to enforce containment of areas afflicted with Ebola. Chronically ill people, about 15-20% of the nation, will not be able to obtain critical medical services and medication. The healthcare industry will collapse. The economy of the country will begin to fall into complete collapse as absentee rates of 60% plus due to illness and voluntary absenteeism which will shut down not only the transportation system but increase the strain on every system needed to maintain a society. 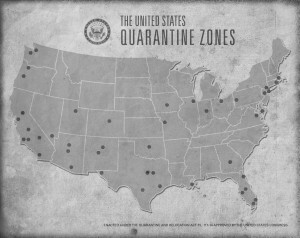 Military hospitals and isolation or quarantine camps will be established by FEMA to ensure that infected or those suspected of infection are prevented from traveling throughout the region or other parts of the country to spread the disease. Initially, some communities will witness 50% infection rates with 80-90% of all confirmed cases dying. And now that we know that Ebola is transmissible through the air, there is no telling how quickly Ebola will spread. Entire neighborhoods, with nowhere to escape from, will be wiped out by the Ebola. Who will maintain the water and sewage services and who will pick up the trash? The spread of disease will be catastrophic. As the nation’s economy collapses, the government will seek to maintain a smaller, secondary economy. Therefore, it will be likely that the government will move people to safe areas and normal services will be initiated. Uninfected people , with critical skills, will be the first to be “invited” and a mini-society will emerge under the “Continuity of Government” regulations. Workers, with essential skills will be conscripted to perform services needed by the emerging society. Without JIT and the global economy in play, local manufacturing will emerge. It is likely that the government is preparing for this now as they are surveying all school employees for essential skills related to reconstructing a society. FEMA has published a training manual which serves as the rough draft model for school safety to be enacted by all 50 versions of the State Department of Education, in times of an emergency. Of particular importance and relevance is a document from the Arizona Department of Education entitled “Staff Skills Survey and Inventory“, which is located on page 76 of their school safety manual. In the appendix, I list a copy of the skills survey being given to every public school employee. It is clear that the government is preparing to “enlist” those with skills deemed critical. Meanwhile, on the international front, the nations of the world will shut down their borders to foreigners in a futile effort to stop the spread of Ebola. 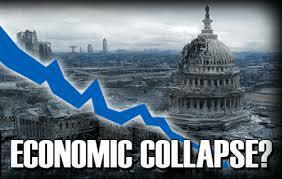 Without a global economy, the stock market will collapse, as will the banks. There will be little commerce beyond simple bartering and trading. The discovery of Ebola within the swine population will cause the mass kill off of the live food supply. The end result, may God help us, could be the introduction of cannibalism. Commerce, public safety and human decency as we have known it, will become a thing of the past. (4) upon request from the head of an agency with authority under this order: (i) formulate plans, programs, and policies for meeting the labor requirements of actions to be taken for national defense purposes; and (ii) estimate training needs to help address national defense requirements and promote necessary and appropriate training programs. If the above section was merely going to be a military draft, then the Secretary of Labor would not have to be involved. However, as you will note the “Secretary of Labor, in coordination with the Secretary of Defense and heads of other agencies, as deemed appropriate by the Secretary of Labor, shall: …assist in the development of policies regulating the induction and deferment of persons for duty in the armed services;… formulate plans, programs, and policies for meeting the labor requirements of actions to be taken for national defense purposes; and (ii) estimate training needs to help address national defense requirements and promote necessary and appropriate training programs…”. Refer back to section 502 of sections 710(b) and (c) of the Act, 50 U.S.C. App. 2160(b), (c); these are the people that the Secretary of the Labor will conscript in order “to employ persons of outstanding experience and ability without compensation and to employ experts, consultants, or organizations”. This, my fellow Americans, is a civilian conscription and this is why the Secretary of Labor is in charge instead of the head of the Selective Service! Under these provisions, the government believes that they can send you anywhere, to work on anything of their choosing. This is slavery! 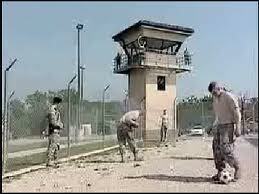 Will the Obama administration, or some future administration, send you to a detention camp to work? It is obvious that families will be separated. If the parents are split up to different locations, what happens to the children? Will CPS raise your children in your absence? With legislation this broad, anything is possible. A preventative vaccine in addition to the successful cure are now in widespread production and shared with the world. The preventative vaccine becomes mandatory for all citizens of the United States but some resist suspecting ulterior motives. Those families are quarantined in their homes and subjected to prosecution by the military courts under the National Emergency declaration. What will a post-apocalyptic America look like? The answer to that question will center around what the Agenda 21 advocates have been calling for. 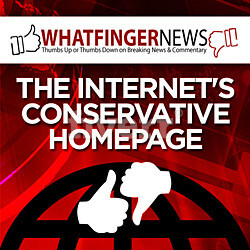 What America will look like after the collapse will be the subject of a future article. During any disaster situation, it is important to be able to draw from all available resources. The special skills, training and capabilities of the staff will play a vital role in coping with the effects of any disaster incident. These will be of paramount importance during and after a major or catastrophic disaster. The purpose of this survey/inventory is to pinpoint those staff members with equipment and the special skills that may be needed. Please indicate the areas that apply to you and return this survey to your administrator. Please check, circle, or add expertise or training that you may have. DO YOU HAVE MATERIALS IN YOUR ROOM THAT WOULD BE OF USE DURING AN EMERGENCY? Please list equipment and materials. WHAT WOULD MAKE YOU FEEL MORE PREPARED SHOULD A DISASTER STRIKE WHILE YOU WERE AT SCHOOL?